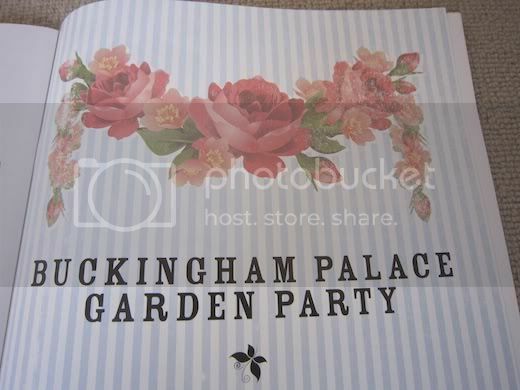 London is awash in lots of cheesy memorabilia commemorating the wedding of Prince William and Kate, but today, I bought what I think is the best of the lot. 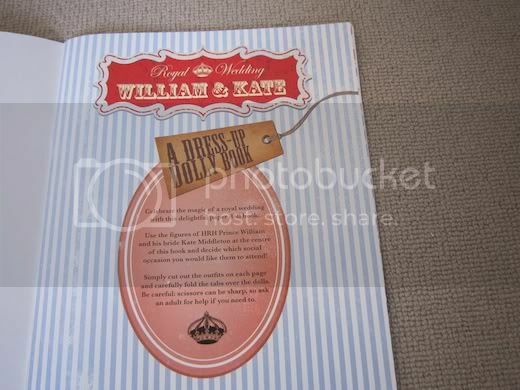 "Use the figures of HRH Prince William and his bride Kate Middleton at the centre of this book to decide which social occasion you would like them to attend!" 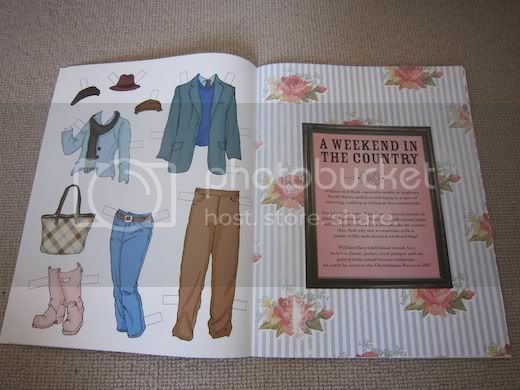 There's even outfits for walking in the country. 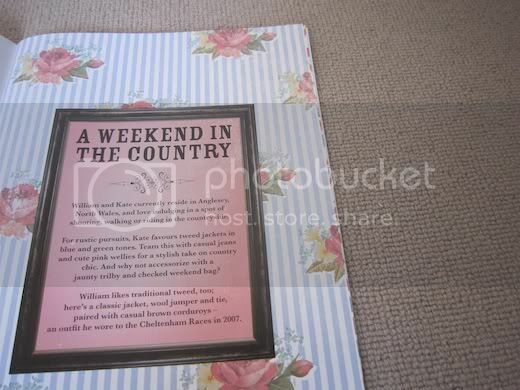 Wills and Kate "love indulging in a spot of shooting, walking or riding in the countryside". 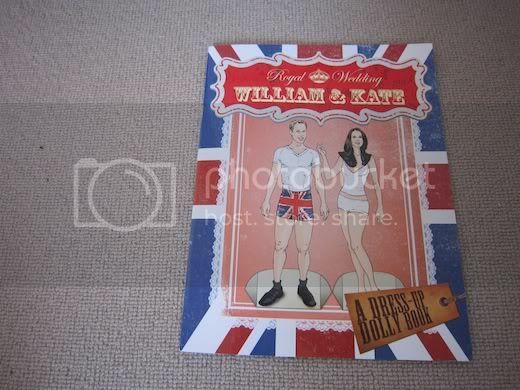 I love that Kate is not wearing a bra, but is conservatively dressed in a camisole, while Wills is showing us his fun patriotic side with Union Jack boxers. It's important to have the right outfit for every occasion. 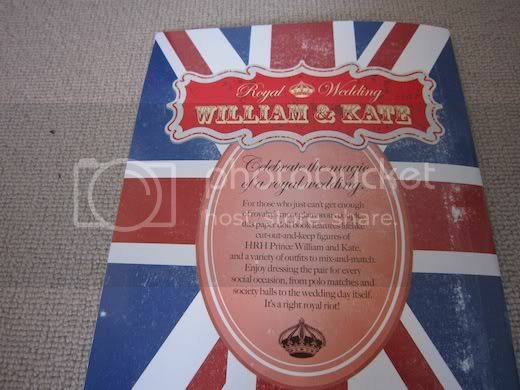 "It's a right royal riot!" 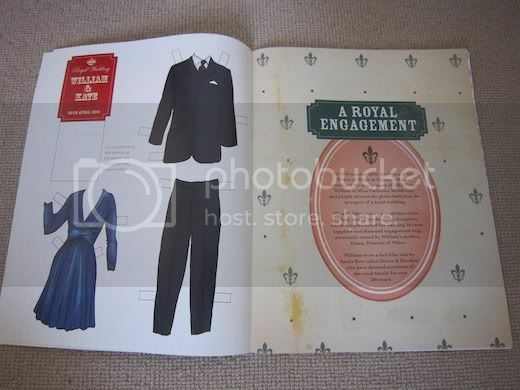 The book also has their interpretation of THE wedding gown. Let's see how accurate it is come 29th April! 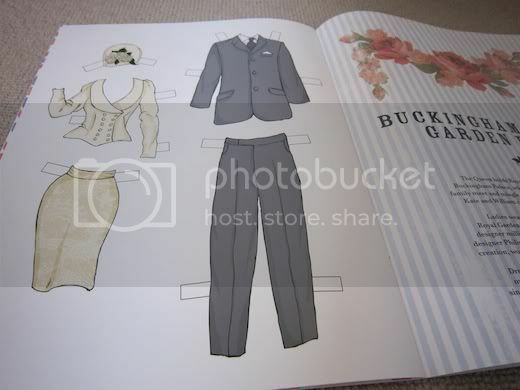 I almost want to buy another book so I can actually cut out and play with the paper dolls.